Read the classic story and enjoy your very own tiger tea party, with this delightful book and china tea set! This captivating picture book has delighted generations of children for fifty years. 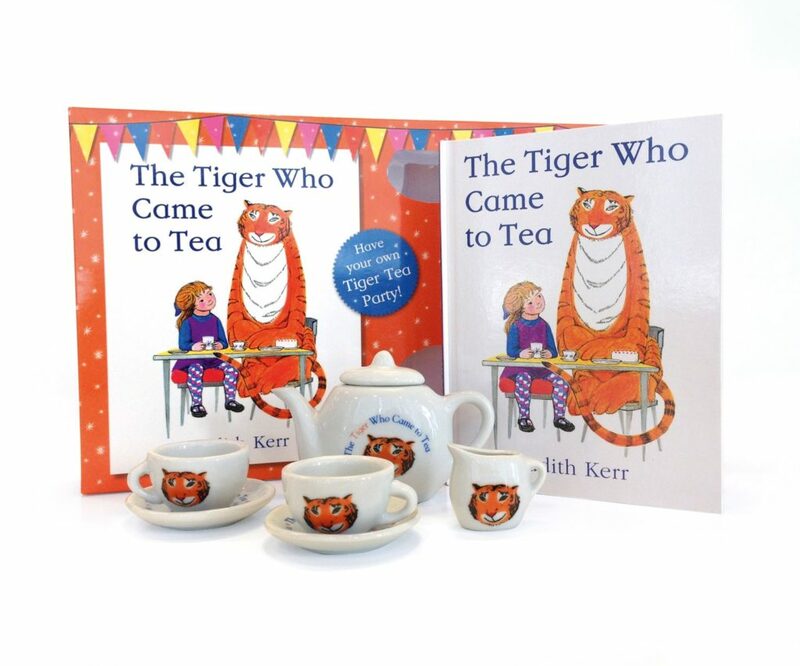 Now little ones can recreate the Tiger’s visit with their very own tiger tea set. This beautiful gift set contains: 1 hardback edition of ‘The Tiger Who Came to Tea’, 1 china teapot, 2 china cups, 2 china saucers and 1 china milk jug – perfect for hosting your own tiger tea party! Available at Waterstones and WHSmith.